As the wind rustles through the trees, you can feel the sun warming your face. There is the low hum of conversation, but just far enough away that you can't make out any of the words. Your body folds and bends throughout the movements you're instructed to perform, but all throughout your mind feels peace and serenity. You leave feeling limber and centered, all before diving into a glass of your favorite wine. Not bad for a Sunday afternoon, right? Yesterday Dave and I attended Yoga in the Vines an event Barrel Run Winery has been hosting every Sunday throughout September. There's still one more event on the 27th, you'll want to book your spot ASAP. 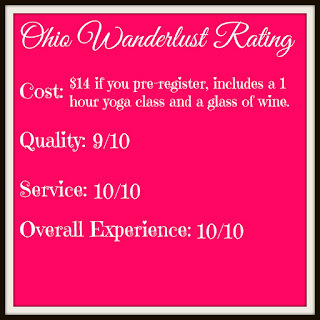 Yoga in the Vines is held in the back of the winery, giving you a peaceful one hour class with a skilled instructor. Dave and I are not expert yoga practitioners by any means, but Christine Luketic did a wonderful job taking us (and everyone else) through the various movements and poses. When the class ended, I could hardly believe that we had been at the class for an hour. You should check out Christine's Facebook and website. 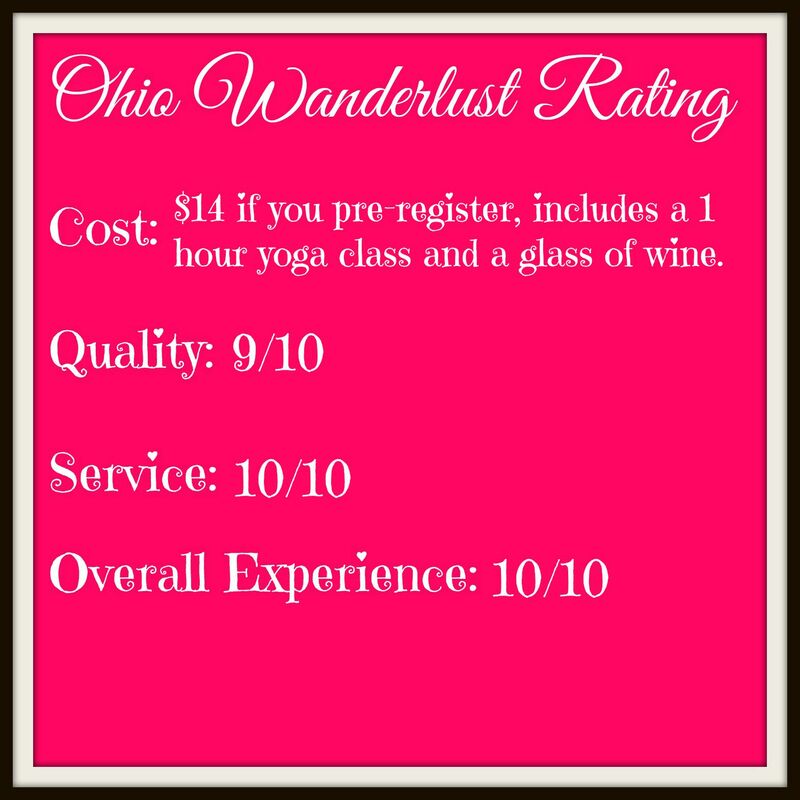 Or take the next Yoga in the Vines class with her at Barrel Run on Sunday To reserve your spot, call Barrel Run Winery before Sunday morning. Your payment for the class includes a glass of wine after, pictured below is the Off the Tracks and Golden Spike. 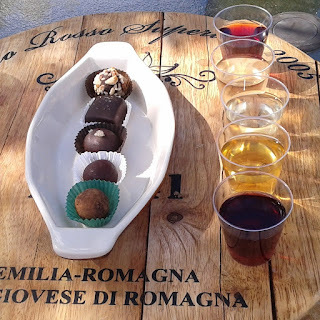 Two other class participants ordered their wine before us and opted to add a chocolate + wine tasting tray for $7.50. It looked so good, Dave and I decided to order one as well. The chocolate + wine pairing was the perfect end to our Sunday afternoon.